From the perspective of God/Source/All That IS, every moment is totally divine; there is no more God or Love or Joy in this moment than in any other moment. Yet from our human perspective, the part of us that believes we’re separate from the Divine, this coming December 21st is a super significant day. As quantum physics reminds us; we live in a world of light particles that flash in and out of form in response to our expectations. If you’re a pessimist, you have oodles of evidence to support your pessimistic view. And if you’re an optimist, you too have plenty of evidence to support your optimistic view! The concept that ‘we create our own reality’ has gone from a far flung idea to acceptable reality. Thoughts become things, and what we focus on comes into fruition… Given we’re all creating our future, by default or by conscious choice, what do you wish to create for our collective Humanity for the new world we’re entering? I see advertisements for December 21st with an image of a comet slamming into the earth. I hear prophesies and predictions that astound me, make me smile and chuckle at our creativity. Any time you get a group of people aligned in common thought, their ability to create amplifies. And for a moment a part of me got worried of over a billion people thinking ‘doomsday’. There are many simple, fun and significant things you can do to join the millions of us who will be radiating loving thoughts on this day. You can play some fun, upbeat music! Hum, tap your toes, sing and dance! Call a friend and tell them what you appreciate about them! Wash your car, clean your room, make a cup of your favorite tea, put up your feet and smile! Yes, there’s an infinite number of things you can do on December 21st. You can do the same thing you do every other day, just be sure to put your loving energy into it with the intent that your love joins with the rest of us! There are many cool places to gather on December 21st. You can tune in to the magic of the day from the comfort of your bed, your bathtub, from under a tree, outside in nature… wherever you are is absolutely perfect! If you can, why not join a pod of kindred souls? You might find a local gathering, join an internet broadcast, visit a sacred spot. Its fun to be with a group of people who share the same loving intent as you! Its easy to get caught up in the significance of events, and in doing so, to feel harried or stressed about ‘getting it right’. If you notice yourself feeling any stress around this magical event, just take a big breath and let the significance go (nothing is as important as your peace and joy!). Keep it simple, be light about it, levity is next to Godliness! In all creation, there is only one of you; you bring something totally unique to our world. Your innate love of life, your joys and your passions carry a vibration, a color and frequency that no one else can replace. On this day, (and every day), let your love flow and your light shine! December 21st is a fun opportunity to vibrate your love of life. What you do or where you do it is secondary to the love and intention you put into it. Have fun! Let it rip! Smile and laugh out loud! Imagine all our collective love and joy encircling our planet with such light and goodwill that everybody everywhere feels the warmth and love of our collective humanity. Have a blast, it’s a party! I’ll see you there! 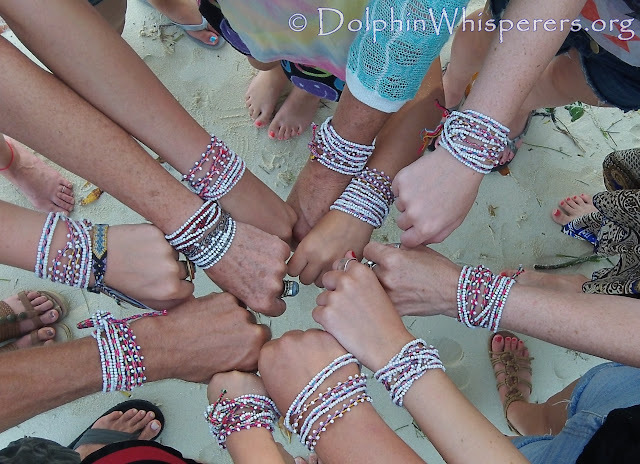 Joe Noonan is an author, dolphin whisperer and shamanic nature guide. Joe reflects back to people that this world is already a Heaven on Earth, and that the tools to find joy in the moment are around and within us. He offers workshops, internet programs and nature retreats that awaken us to our divine joy and connection with Nature. Previous post: Hurricane Sandy & the Bahamas; Any port in a storm!